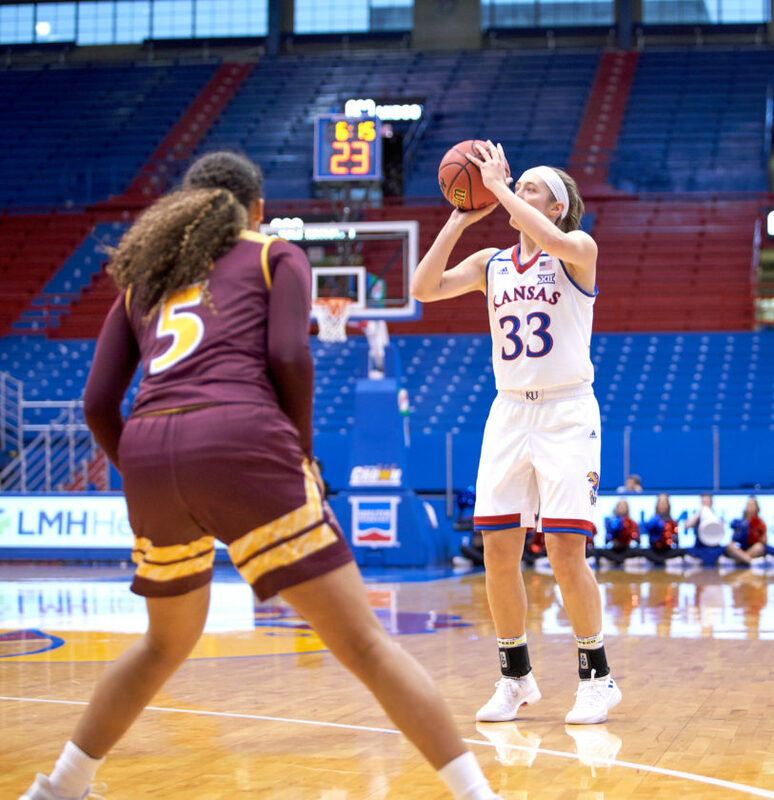 Kansas guard Kylee Kopatich (33) shoots a 3-pointer as Iona's Shyan Mwai (5) looks on in the first quarter on Sunday, Nov. 25, 2018 at Allen Fieldhouse. Nebraska handed the University of Kansas women’s basketball team its first loss of the season by a 58-52 margin Wednesday night inside Pinnacle Bank Arena. Double-figure scoring efforts by senior Kylee Kopatich and junior Mariane De Carvalho were not enough for the Jayhawks (6-1) to mount a come-from-behind win and keep their perfect record intact. Entering Wednesday, Kansas was the only Division I program with both the women’s and men’s basketball team sporting undefeated records. Earlier this week, the Jayhawks had received votes in both the AP poll and coaches’ poll. Kopatich scored a team-high 14 points to go along with nine rebounds and two assists. It marked her fourth double-digit scoring effort of the season and 29th of her career. De Carvalho found the net for 11 points and three rebounds, while recording her second double-figure scoring performance of the season and second of her career. Sophomore Bailey Helgren grabbed a career-high 10 rebounds during the contest, which marked the fourth-straight contest of the season of eight or more rebounds. 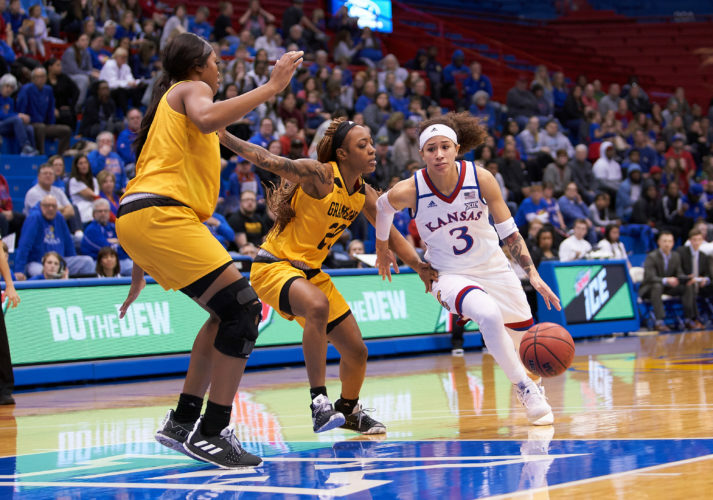 KU will play host to Grambling State at 2 p.m. Sunday.